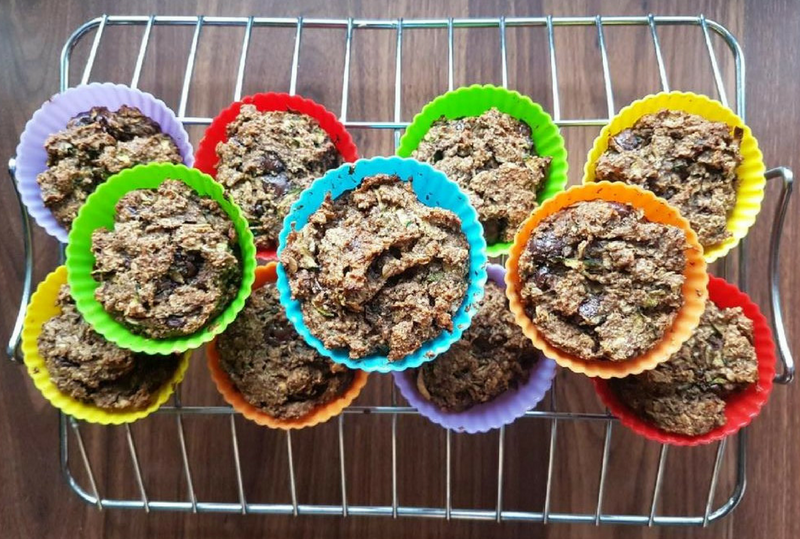 Never made vegan muffins before? No problem – this basic recipe is designed for beginners! It substitutes flax seeds for eggs and soy milk for dairy milk, and uses maple syrup for sweetness. Prepare muffin pans by lightly oiling them or inserting paper muffin liners. Combine soy milk (or water) and oil in a separate bowl. Heat up oven to 375°F. Combine dry and wet ingredients. Don’t over mix. The batter should be a thick but pourable consistency. Test to see if it slowly drops off a spoon. Add more flour or water if necessary. Fold in any fruit or nuts you are using. Fill muffin pans with batter. Tip: Add cinnamon for extra flavour!